Time to try a few porters. 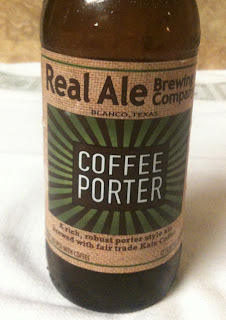 The first is a Coffee Porter from Real Ale Brewing Company. Their web site shows 5.6% ABV and 40 IBUs. 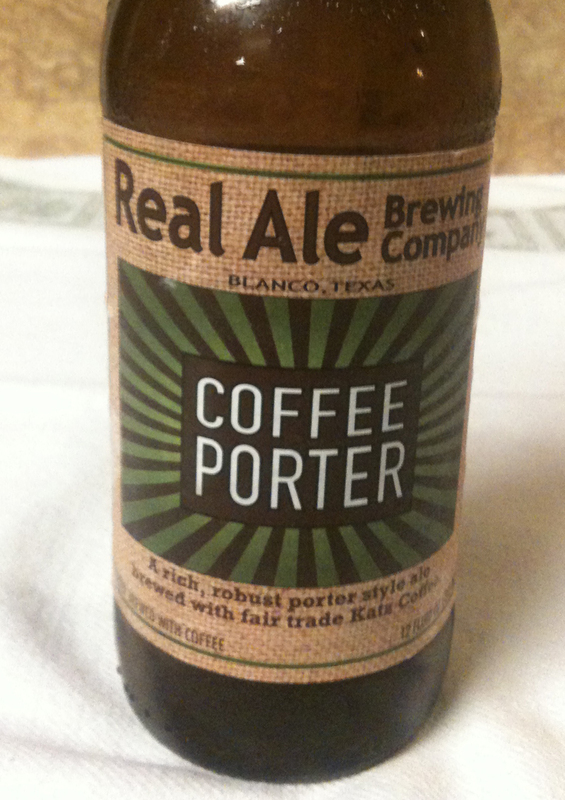 This beer is actually brewed with coffee from Katz Coffee Roasters. This porter poured with a fairly brown, smaller head. The color is a dark reddish brown which lets very little light through when held up to the light. 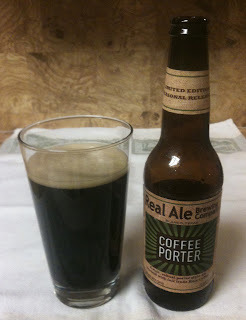 There is a light note of coffee to the aroma, but not more than some of the stouts I have tried that were not brewed with coffee. I would say a medium-bodied or medium strength beer. The flavor is not heavily coffee, it's more of a coffee note towards the finish of each sip. Very little bitterness. Some nice malt with a slightly heavier mouth feel. The aftertaste is mild and pretty well matched the taste of the beer.